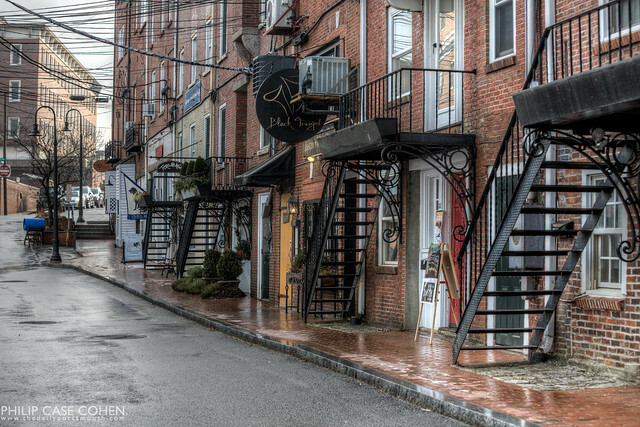 Several sets of staircases line the brick sidewalk of Ceres Street near the waterfront. I absolutely love the historic feel of this part of town, steeped in history yet full of commerce. Happy New Year to all! I would like to thank everyone who has been supportive over the past year and helped to grow The Daily Portsmouth! I hope everyone is enjoying the holiday season with family, friends and loved ones. 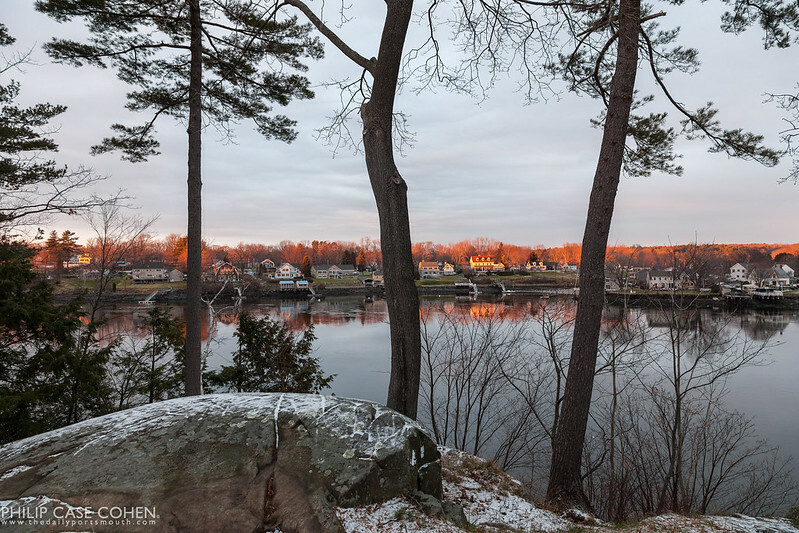 On Christmas, we were treated to some light snow to add to the festive feel for the holiday – which gave way to a beautiful sunset as the clouds broke at the end of the day. 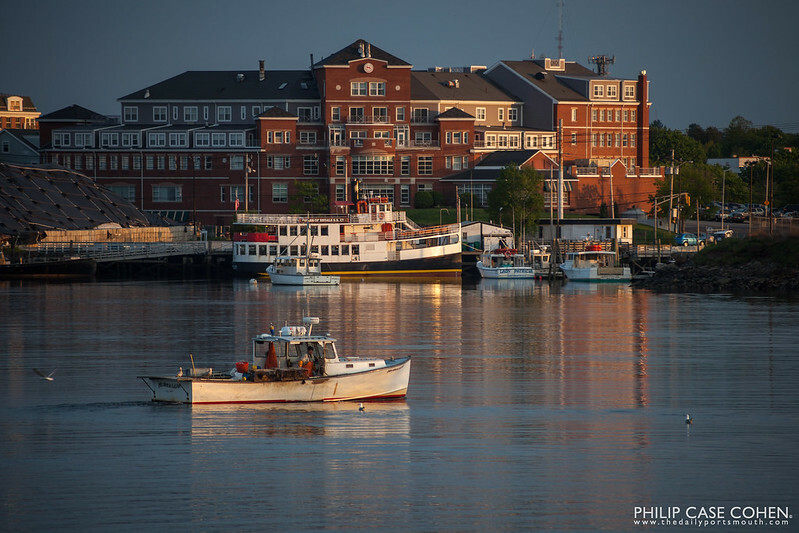 The fisherman cruises on the Piscataqua River at the end of a late spring day. The Sheraton Harborside Hotel looms in the background as does the Isles of Shoals Steamship Company’s Thomas Laighton. A beautifully peaceful glimpse of the waterfront in Portsmouth after a fresh snow in February 2011, while the Memorial Bridge still stood in tact over the Piscataqua River. 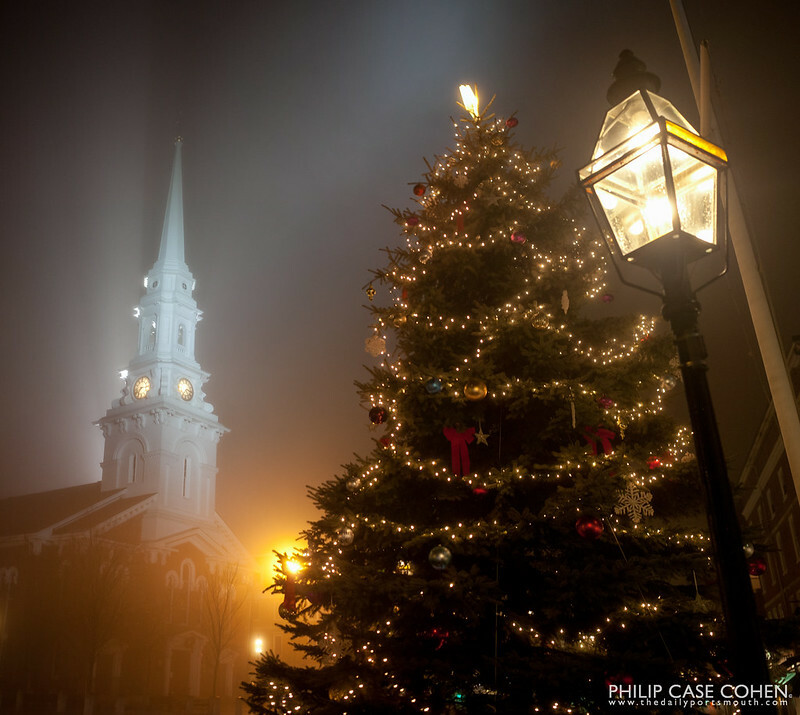 The City has finished dressing up the downtown area with wreaths on street lamps, a tree in Market Square, and I was happy to have my camera in hand when I left work and walked out into this thick and atmospheric fog. 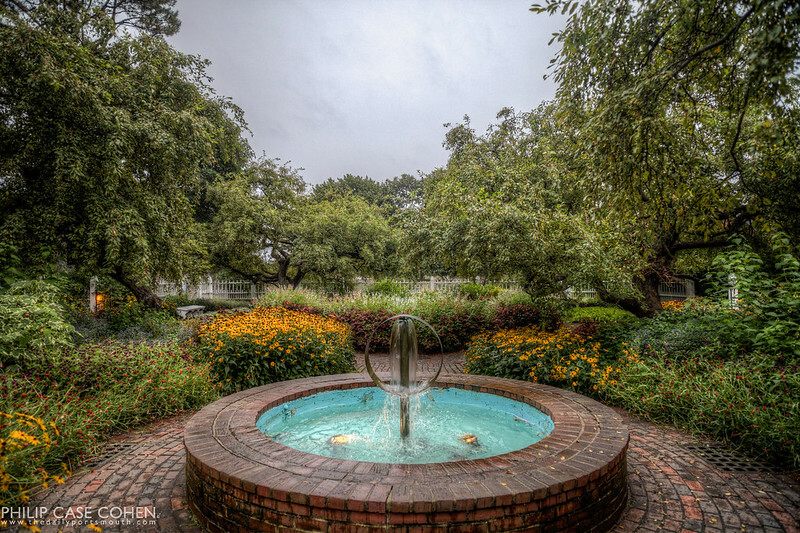 One of the beautiful hidden gems in Portsmouth is the fenced in garden in Prescott Park, complete with old and wizened trees, brick walkways and beautiful fountains. 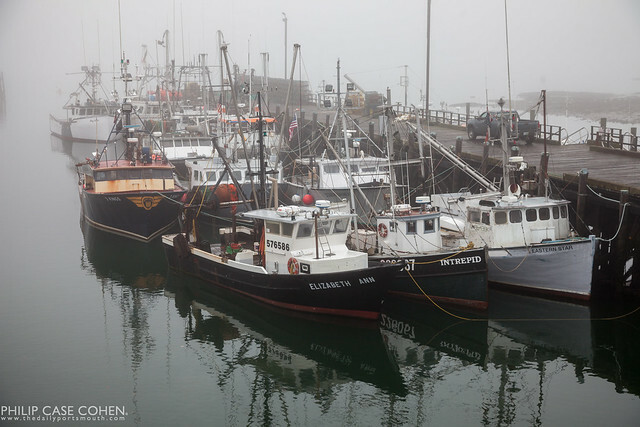 One late morning in mid-October, the fog began to roll in. The fall seems to be a fruitful time of year for dynamic weather and drastic swings in temperature….which usually leads to great opportunities for photos. I decided to head towards the South End to see what Peirce Island was looking like, and couldn’t help but to stop and capture the rugged peacefulness of the commercial fish pier.